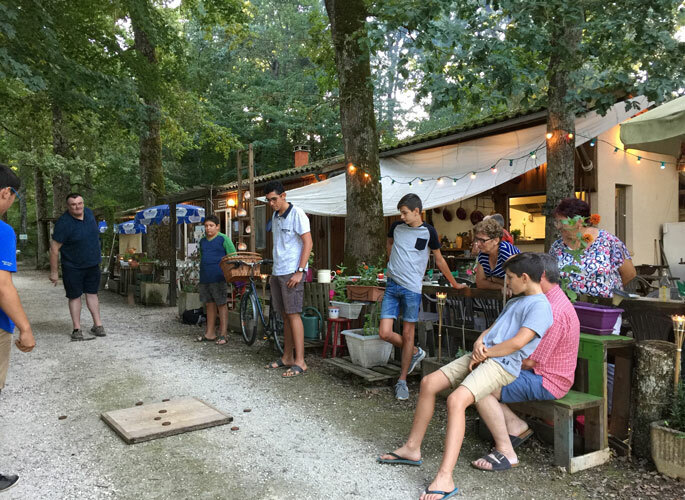 At the campsite’s Auberge, Cathy, Laurent and Arnold welcome you as campers, tourists passing through, or inhabitant of the surroundings, with the key words, friendliness, kindness and greed …. During summer, come and eat on the terrace in the shade of ancient oaks. In high season, dishes of the day with local products, notes of spices always, reservation recommended, because here the frozen pizza and fried nuggets for children are only relief dishes! Off season, you choose what you want to eat, a few days in advance, and we create a menu of good fresh products at a reasonable price, to enjoy in our cozy room next to the fireplace. If you are a musicians, a piano, a guitar and a violin are at your disposal, for you to animate your musical aperitif! NEW: On reservation only, to guarantee the freshness of the products, traditional dishes of Chinese cuisine, in particular specialties from Yunnan and Sichuan,delicately spicy dishes from southern China, very varied cuisine due to the ethnic diversity of this region. 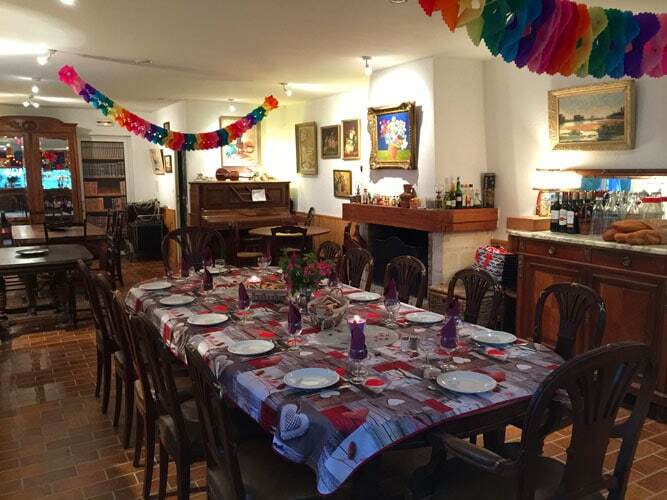 We also organize some theme evenings or meals, with single menu, such; World Music Day, 1st of May or 14th of July, karaoke party, grill party on a wood fire, etc… Follow us on social networks know all of our news. Finally, we can welcome groups, hikers, cyclists, riders, sportsmen, associations, etc… we will prepare a meal according to your desires at prices always measured and quality always present. 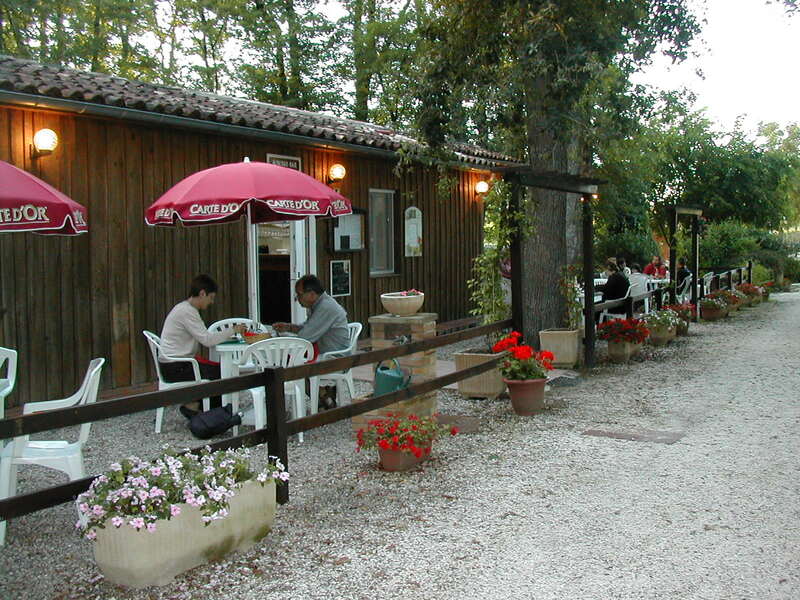 Our main wine supplier is the Domaine de la Tuilerie Côtes de Duras. And for beer lovers we serve La Guignol, a local and artisanal beer brewed in Miramont-de-Guyenne. Service hours of the restaurant in season: all day from 12AM to 2PM and from 6PM to 8:30PM. Off season with reservation.